Feel transported to Mexico, as Spanish ballads play and the smell of meat, beans and rice wafts in the air of Oaxaca. 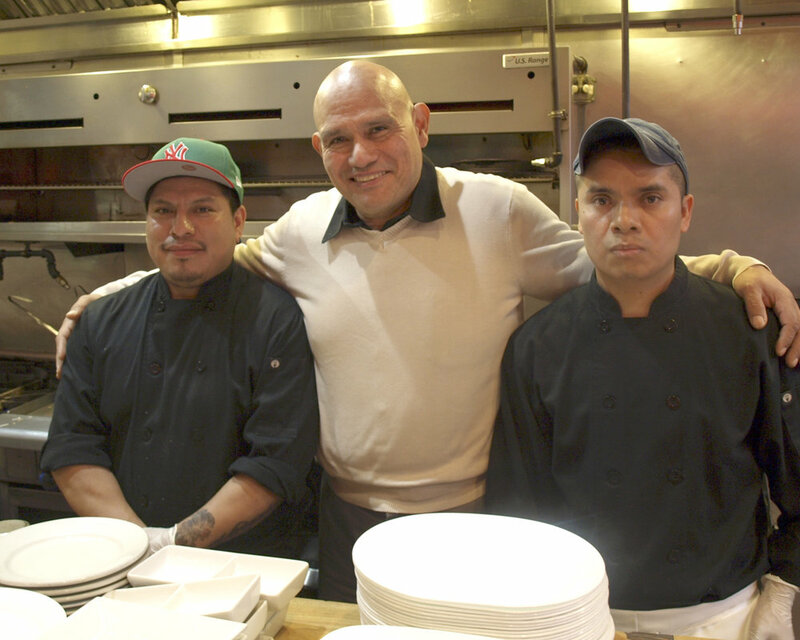 When owner, Alejandro Gonzalez, came to East Northport over 24 years ago he never expected to stay more than a year, but he fell in love with Long Island. He knew something was missing, an authentic Mexican restaurant with flavors like the ones he grew up with. Gonzalez took it upon himself to bring these flavors to the Island, opening Oaxaca in Huntington Village 23 years ago and later Quetzalcoatl. Working as the restaurant’s chef for 17 years, Gonzalez brought recipes from his travels around Mexico as child to his menu. Oaxaca offers daily specials on top of their flavorful menu. One of their specials is the previously mentioned, chile nogada that is famous for being served to the fighters who won Mexico’s independence by nuns when the army passed through Puebla. The exquisite delicacy masters the flavors of savory and sweet, as shredded pork and beef are covered by a poblano pepper, pecans, pomegranates and the signature white sauce, made of grandeur liquor, fruits, cream, and almonds. The sauce is the centerpiece of chicken covered in mole sauce ($18.95). The sauce gives the meat a rich flavor unlike any other. The dark, velvety sauce has 32 ingredients, with seven dried peppers as the base complemented by cocoa, raisins and plantain. Nothing compares in popularity to their Mexico City tacos ($4.25/taco). The dish takes it name from the Mexican capital known for having the best tacos in the country. There are a variety of meat choices and we enjoyed the skirt steak tacos topped with three different salsas, radishes and cilantro and served on two mini-flour tortillas. It was clear why it was a beloved dish at the restaurant. If you’re looking for a fun twist on tacos, consider trying their tostadas ($8.95). Tostadas give a tasty crunch with crispy corn tortillas as opposed to the soft flour tortillas. They’re topped with shredded flank steak, refried beans, sour cream, guacamole, lettuce, pico de gallo and cotija cheese. Gonzalez remembers his mother making tostadas for him as a child and hopes to do her proud. 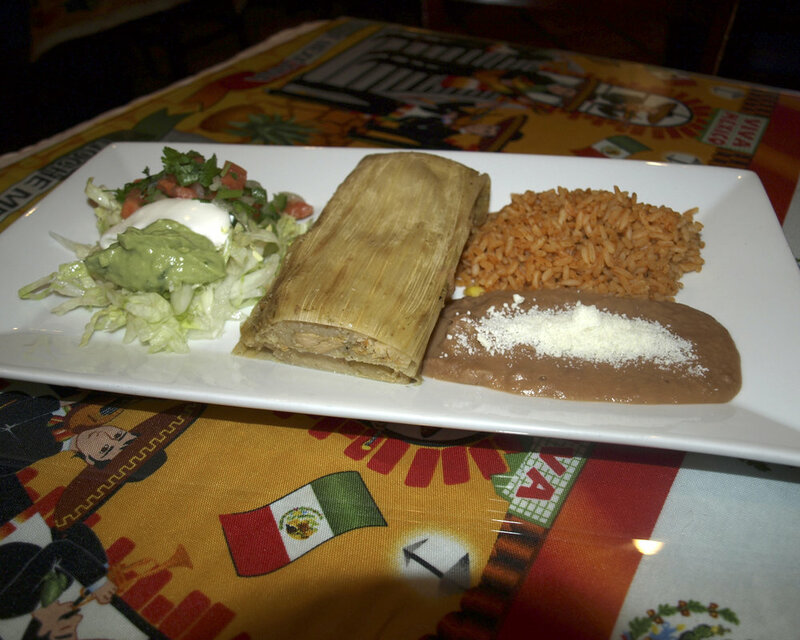 Two more plates that make you feel like you’re eating at your abuelitas are pork tamales ($12.95) and the chimichanga ($13.95). The tamales come wrapped in a corn husk that makes the pork tender while giving it a unique flavor. Chimichangas are a Mexican-American dish with fried chicken and cheese in a tortilla like a burrito. “When people ask me the principles of Mexican food. I say, the first rule of Mexican food is there are no rules,” Gonzalez said. No Mexican feast is complete without a sweet treat, our Foodies highly recommend the churros ($4.75), a sugar covered pastry oozing with yummy filling, and flan ($4.25), a scrumptious cake with the perfect consistency.